When I go to McDonald’s I’m not overly concerned with my appearance. Usually I’m there to grab breakfast after a long run on Saturday or Sunday so I’m sweaty, wearing a weird outfit, and probably not smelling like a rose. Attractive is not the word I’d use to describe the situation. That being said, today I looked even weirder than usual when I ordered my Egg McMuffin. Let me explain. 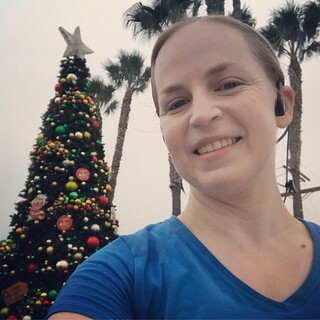 This morning I ran 20 miles, starting at my house and turning around after I hit 10 miles in Long Beach, and I was completely exhausted by the time I got back to Seal Beach. As soon as I stumbled in the door I took off my running shoes to free my feet from their temporary prisons. It felt amazing. But then I realized that if I wanted breakfast I’d have to put on footwear of some kind again. I didn’t have any desire to don my disgusting running shoes again I decided to slip on my cushy runner’s recovery flip-flops instead. They are what my friends and I would call “birth control shoes.” As in, no man will want to sleep with you if he sees you wearing them. Usually we use the term to describe anything your podiatrist would recommend. You know, the shoes that are good for your feet rather than the ones you’d actually prefer to wear? (I seriously haven’t been able to bring myself to buy anything from the brands my podiatrist endorses. He hates my Tieks and Toms, but until I have more serious foot problems you’ll have to pry them off my cold, dead feet.) I bought these cushy flip-flops when I was suffering from mild plantar fasciitis and I needed some shoes to wear around the house that wouldn’t exacerbate the problem. Apparently walking around barefoot can aggravate plantar fasciitis. Much to my surprise they made a huge difference and I rarely feel any foot pain anymore. However, they are so ugly that I I’ve never worn them in public – until today. I was so hungry after running 20 miles that I ventured out to McDonald’s in those bad boys. And it was worth it. The point of this post is that I’ve done a lot of running over the Thanksgiving holiday as part of my Dopey Challenge training program. Obviously there was the Oceanside Turkey Trot on Thursday where I ran 9.3 miles, but that wasn’t part of the official training plan. That picked up on Friday night when I ran my scheduled 4 miles around Seal Beach. And then the serious miles started over the weekend. 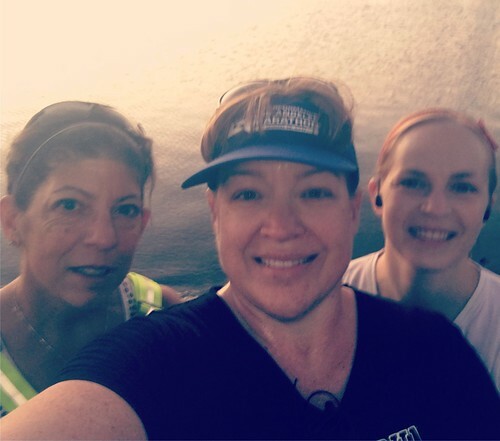 Yesterday I ran 10 miles, beginning at 6 AM with my running group leader. We started at her house and ran 5 miles down to the beach where the rest of the Galloway group was meeting to run their planned 3 miles. I managed to squeeze in the last 5 miles in that timeframe and then got a ride back to my car afterwards. All of this was just a prelude to the main event – my 20 mile run this morning. I wasn’t looking forward to it for several reasons. 1) I was going to be running alone which does have some benefits, but is also extremely boring. 2) It’s been warmer than I’d like lately (especially for November) and that always makes long distance running more difficult. 3) My last attempt at 20+ miles was the Long Beach Marathon and it sucked. I did not want a repeat of that experience. Fortunately the stars aligned and today’s run was great! I started out slow enough that I didn’t completely deplete my energy stores before I was done, and I had my Christmas playlist to entertain me for most of the 4 hours and 15 minutes I was out there. It couldn’t have gone any better. That’s very encouraging. I might actually survive the Dopey Challenge in January!